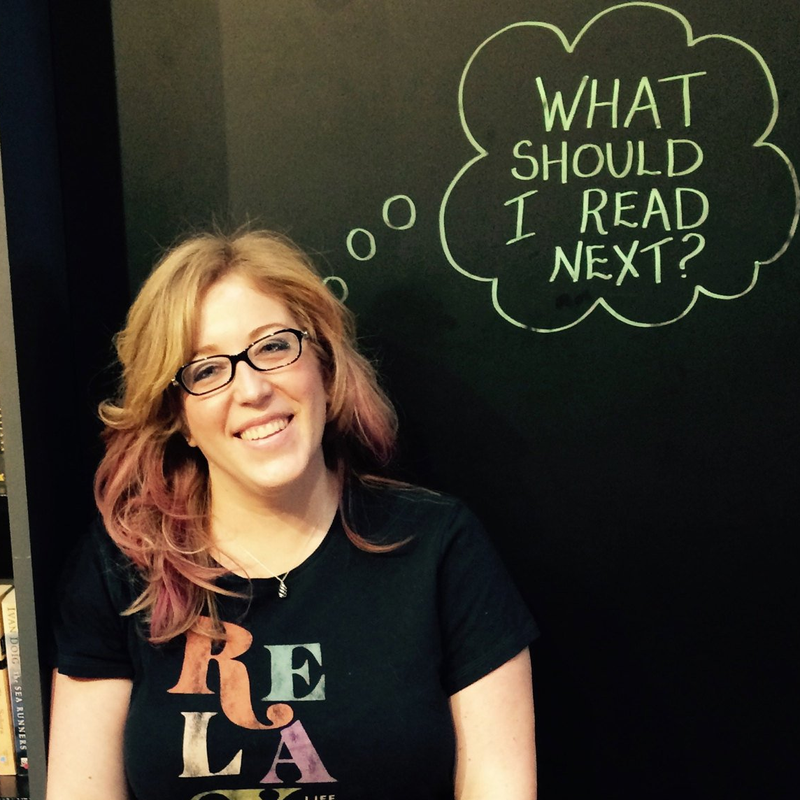 Heise Reads & Recommends: Out of the Classroom and Into...a New Job! 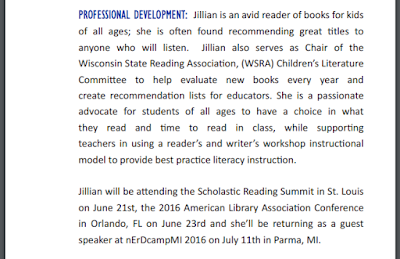 Out of the Classroom and Into...a New Job! Things have changed a bit since the last time I posted (which was far too long ago)! 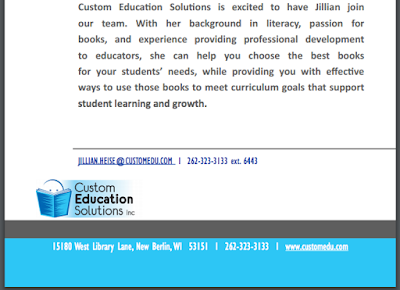 I am no longer teaching middle school language arts, as I left the classroom at the end of the semester, and this week started my new role as the National Literacy Consultant for Custom Education Solutions. 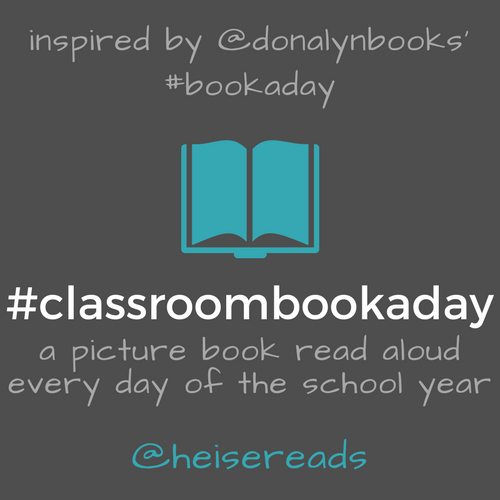 It was a difficult decision to leave my students behind, yet I am thrilled to be able to share my experience and passion for getting good books into kids' hands with other teachers. So what does this mean for this book blog? I'm not totally sure yet. I don't think I'll be posting here as often, but am working on ideas to share through Custom Ed. 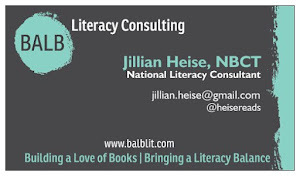 new literacy consultant account @CustomeduLit, and on goodreads. If you are in the Midwest, I hope to see you in one of the Custom Ed showrooms to help you customize your curriculum and choose books for your students sometime soon! 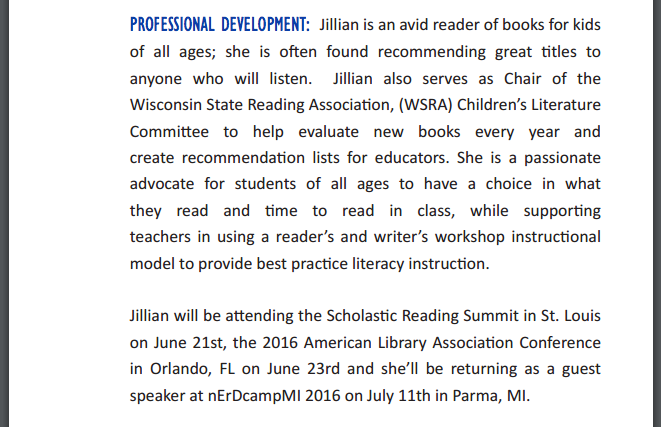 Wow, congrats on the new position Jillian! I hope you'll still keep posting here though.